Sakura invented and patented PIGMA® ink over 25 years ago. A formulation of pigment based inks, more complex and stable than dye based inks, PIGMA® ink has become the standard for what is defined as reliable, permanent, archival quality ink. 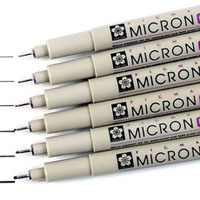 Now Available: the Full Micron Assortment. 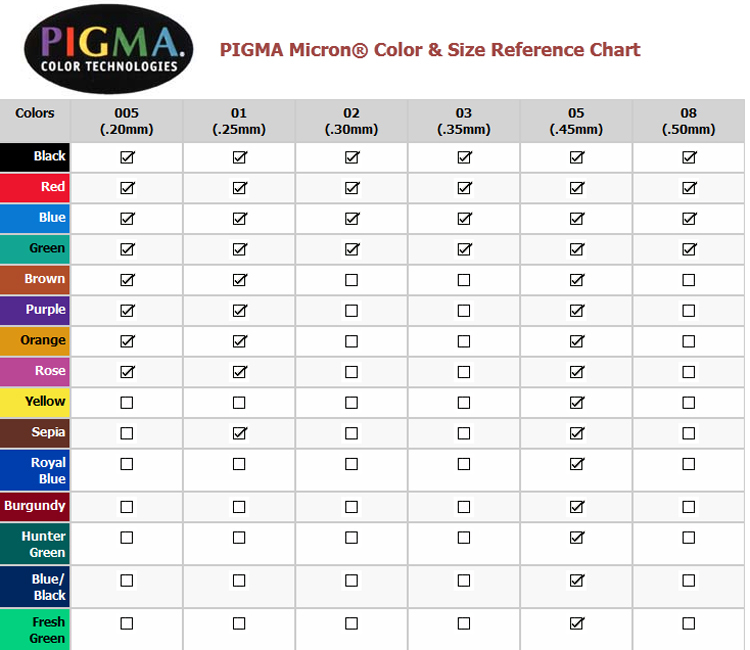 Please refer to chart below to see which colours are available in which sizes.